My parents gifted me a gold Mickey bracelet. I was thrilled as I always loved and idolised Mickey and his friends. As days passed by, I remembered meddling with the bracelet till it broke! I was anxious, scared, and clueless of what to do. I always listened to my parents and heed to their advises and words. But this time, my mind was telling me to do the total opposite of what my parents had taught me— to LIE. I took the broken bracelet, went into my parents’ room, and threw it behind one of their cupboards. Once that was done, I went over to my parents and acted as though my bracelet was stolen. I swear, just by thinking about it now, I could’ve won an award for my flawless acting skills. That was when I realised that I was not who I thought I was. That was my first lie, and the voices in my head made me do it. It was a stressful year. My classmates and I were always with our books, studying from an hour after another. We were preparing for the most anticipated examination of all the primary schoolers, UPSR. After the first trial exam ended, we received our results. Many were exchanging answers and comparing their results with one another. I didn’t want to take part in their conversation because my results were not as outstanding as theirs. Most of my close friends scored really well and they looked very happy and proud. And then there I was, at the corner of the class, clutching onto my results and slowly tearing it into small pieces because I knew if I were to return home with my results, I would be lectured. I held my head and had a mini-meltdown. That was the first time I started plucking my hair. The more I plucked, my heart felt at ease and I started to pluck even more and more until my head had bald patches. I started wearing a bandana to cover my head, making the kids in my school laugh at how weird I looked. But, I couldn’t stop. It became a habit that I could never stop. That was the initial stage of trichotillomania, which I didn’t know. My hair-plucking habit worsen day by day, leaving me having terrible bald patches all over my head. I felt that the only way to deal with this was to shave out what was left on my head. I went to school with a wig on. One of my teachers noticed the changes on me and pointed it out in front of my entire class. I was laughed at, but it didn’t bother me that much. I remember that it was the last day of school and I decided not to wear the wig. My schoolmates were at awe, thinking that I was most probably diagnosed with cancer. During that period of time, I remembered not hearing any voices in my head. For the first time after so long, I felt liberated. I could finally be myself. I was happy, enjoying every bit of what life was offering me. I was not even bothered about the negative things, being super optimistic with almost everything! I was accepted to study in a notable university, I finally got to be independent by moving out from my family for 4 years, and I was ready to stand on my own two feet and be stronger than I was. But, that didn’t last long. The voices were back and this time, they were louder. Once I moved out, I felt alone. I had friends, coursemates, and even housemates to distract myself from these voices, but to no avail. There goes my self-esteem, my inner strength. At that moment, I realised that these voices are harder to beat. I finally graduated and got the opportunity to have one of the noblest occupations yet, a secondary school teacher. My days were so uplifting thanks to all my cooperative students and supporting colleagues. But as time goes by, I started to doubt myself if I was ever suited to become a teacher in the first place. It was never my forte to teach or guide anyone because I always thought my methods were only understood by me. Nevertheless, there were students who appreciated as if I was their one and only guardian angel. They believed in me more than I did in myself. But, I couldn’t make it through. I broke down almost every day, second-guessing my own abilities. I would tell myself that I am such a pathetic excuse of an educator. This was the first time I had so many self-doubts. I slowly lost the self-esteem I once had. Last year, I joined as a writer in an agency. I was slowly overcoming obstacles and adapting to the culture of advertising. As glorified as it seems, there were very enormous efforts being contributed (and sometimes wasted). I loved the push and hype that was in this field. At one point in time, my self-esteem started to plummet drastically. But I regained my momentum and started to tell myself that it’s okay to make mistakes as we grow and learn from them. The voices in my head, however, were always there, silently loud, and telling me otherwise. I am still subconsciously pulling my hair and constantly fighting with the trich that I self-diagnosed. One day, I tried talking to my parents about it and how I wanted to seek guidance from a therapist or a psychologist, but they told me to end what I started by myself. It is painfully true, but it is not as easy as it seems. I constantly tell myself to stop doing it, but my hands will not listen. My emotions, however, are another mess. I would go home and write down negative words about how I see myself behind my façade and paint them over in black. It is scary, but I feel at ease. It takes time to fight with these things that are bothering us. But it’s not hard to fight them. I am trying to get rid of all these demons in me since the beginning of time because they did not come naturally. 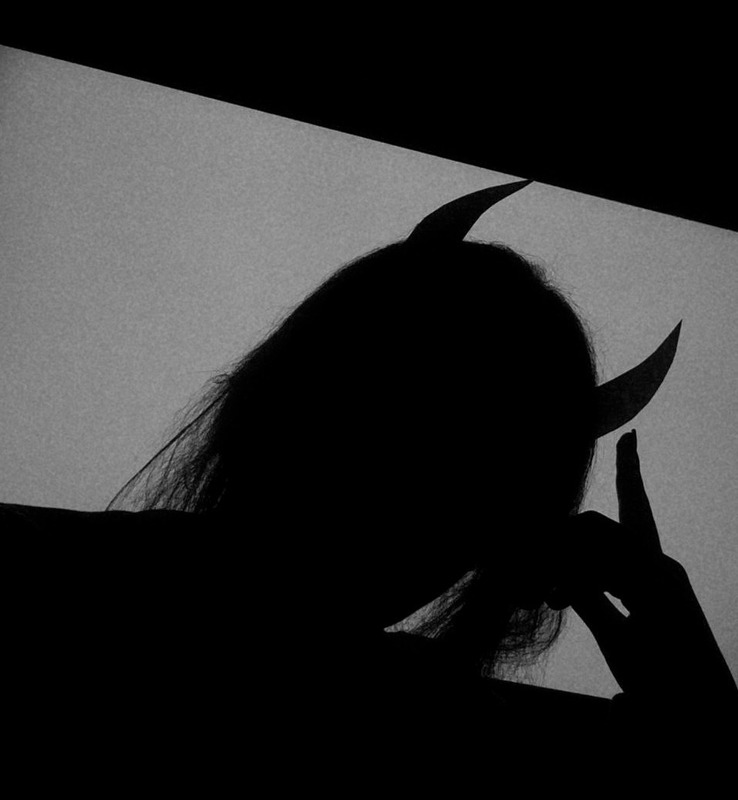 My demons are in me because I invited them. And now, it’s time for them to leave.